Erected by City of Cincinnati Park Board. Location. 39° 6.272′ N, 84° 30.849′ W. Marker is in Cincinnati, Ohio, in Hamilton County. 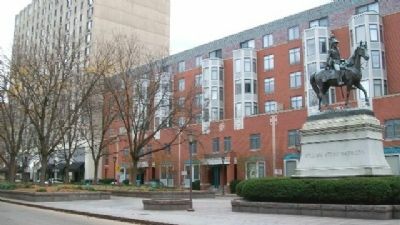 Marker is at the intersection of Garfield Place and Vine Street, in the median on Garfield Place. Touch for map. 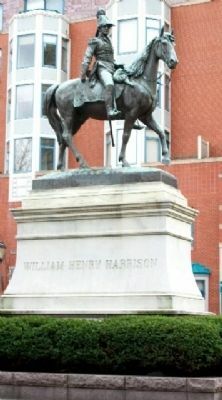 An identical marker is located near the Harrison monument at the west limit of Piatt Park (Elm Street). 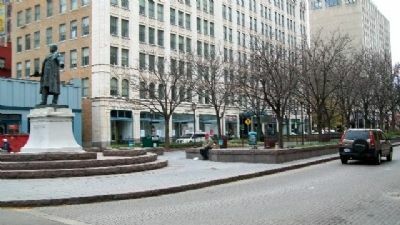 Marker is in this post office area: Cincinnati OH 45202, United States of America. Touch for directions. 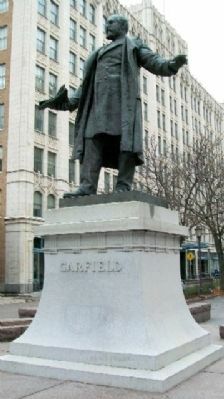 James Garfield statue at east limit of park (Vine Street). Marker is 15 feet to right of seated person. (approx. ¼ mile away); Military Roads (approx. ¼ mile away); Kennedy Speech (approx. ¼ mile away). Touch for a list and map of all markers in Cincinnati. More. 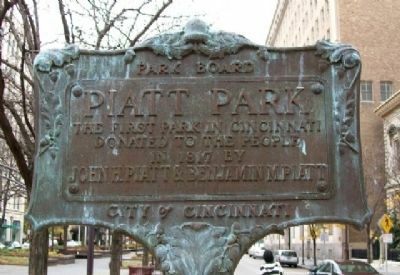 Search the internet for Piatt Park. Credits. This page was last revised on June 16, 2016. This page originally submitted on November 9, 2009, by William Fischer, Jr. of Scranton, Pennsylvania. This page has been viewed 913 times since then and 9 times this year. Photos: 1, 2, 3, 4, 5. submitted on November 9, 2009, by William Fischer, Jr. of Scranton, Pennsylvania.